We had a disappointing year in 2016 when multiple mares failed to hold in foal and this year all the cob mares have been successfully scanned in foal, nearly all at the heartbeat stage of development, so I am optimistic for a better year this year. 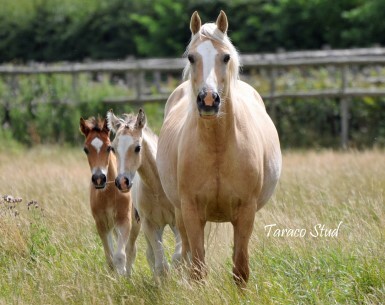 Stallions used include our own Trevallion Enzo and Taraco Firestorm as well as the lovely young stallion Llanarth Fiery Jack and the legendary Llanarth Prince of Wales. Springbourne Elmer had one shot with Vervale Gift of Gold and Taraco Cherish so there is an outside chance we may also be blessed with an Elmer foal this year too! A very small selection of foals and youngstock may be offered for sale and expressions of interest are invited. 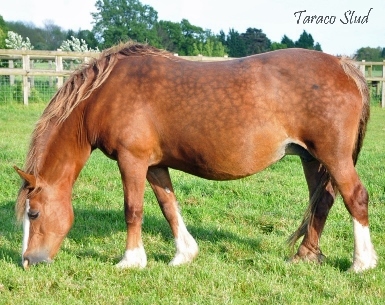 This gorgeous mare is expecting her second foal by our junior stallion Taraco Firestorm (himself by RWAS Champion Drogeda Stormy Tempest and out of Danaway Fantasy) and out of Danaway Cherimarie. A full sibling to the 2016 colt Taraco Furioso I am praying for a filly to retain! This foal will be another full sibling to the gorgeous Taraco Commando (sold to USA) and Taraco Catalina (retained) as well as a half sibling to winners and champions including Taraco Callista (Germany), Cracker Jack, Collorado, Carina and Cleopatra. Carolina is by Trevallion Valentino and out of a Nebo Brenin mare so this foal and its siblings include some fairly legendary cobs in their immediate pedigrees. After a few years with no success, I am delighted that Ribbon was scanned in foal. 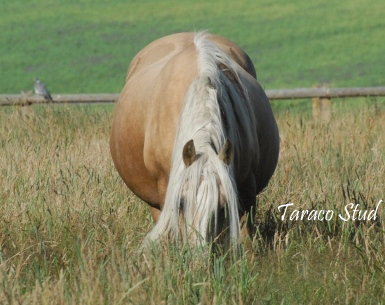 Fingers crossed the scan is correct and she is in foal this foal is a half sibling to Taraco Dragonfly (USA), Donatella, Dakota, Daioni, Diablo and Delana (retained). The Flash Jack x Triple Crown daughter cross has worked well so I hope that Trevallion Enzo (a grandson of Trevallion Flash Jack) will prove equally successful. This will be a first foal for Bonita who went away on loan to be ridden as a youngster. Now 8 years old she is expecting her first foal and I am extremely excited about this. Bonita is by Supreme Champion and top stockgetter Trevallion Valentino so this foal combines some extremely successful bloodlines. 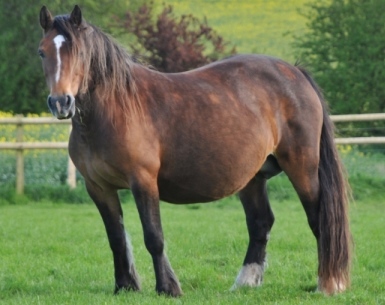 Bonnie was scanned in foal with twins for 2016 and sadly did not successfully retain one. So I was very relieved when she was scanned with a single foal this year! Having had a very well deserved year off I decided to take the opportunity to entrust Fantasy to the Bigley Family (Llanarth STud) so that she could be covered by Llanarth Prince of Wales. Another first for us - so I am very happy that she is not only scanned in foal but, touch wood, looks in foal for 2017. Fantasy has been a phenomenal producing mare for me and I am crossing everything for a filly next year! 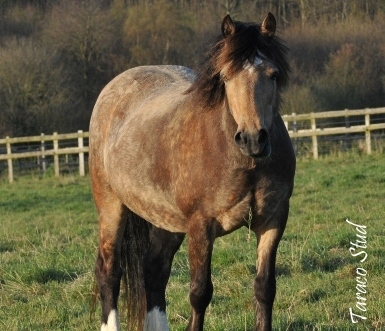 HOYS and Cuddy qualifier Mathfred April has not proved to be the easiest mare to get in foal, but I am delighted that after a lot of perseverence she is finally scanned in foal to Trevallion Enzo. This foal will be a half sibling to Taraco Amira (Holland), Armani (Sweden), Azarenka (UK) and with April now 19 years old I am hoping for a filly to retain. Another mare that has not been the easiest to get in foal for a couple of years I am delighted to say she was scanned in foal to Llanarth Fiery Jack this year. This foal will be a half sibling to Taraco Idaho, Indira and Inferno. Has had one chance at serving the two section A mares Taraco Cherish and Vervale Gift of Gold. Time constraints on my behalf meant they were not served again and they have not been scanned in foal so we are not expecting A foals. If either turn out to have held to their service we will be evry excited! 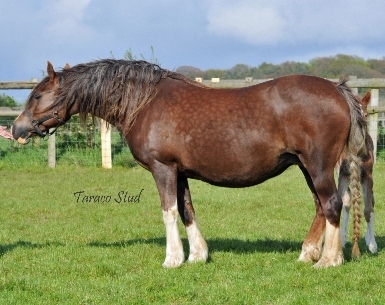 Established in 1998 I am proud to say that I have bred some wonderful ponies and cobs - despite only being a small stud I have bred countless prizewinners including Royal of England winners Taraco Renegade and Taraco Fiasco - please click on the photo to see information on other foals I have bred.